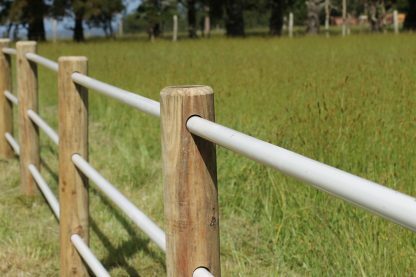 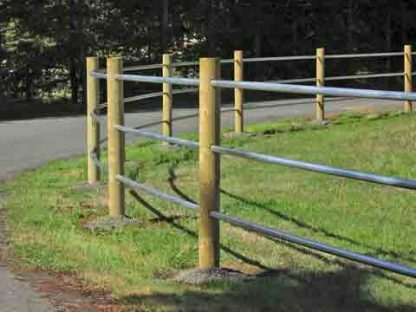 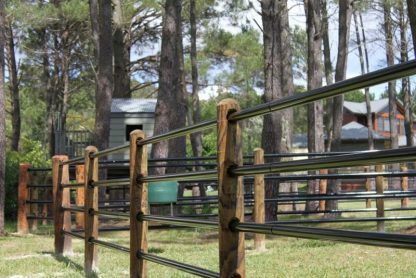 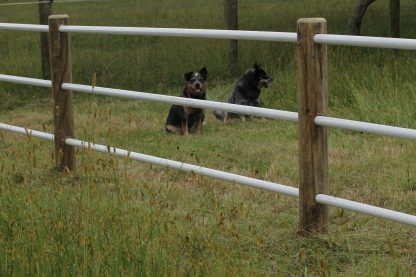 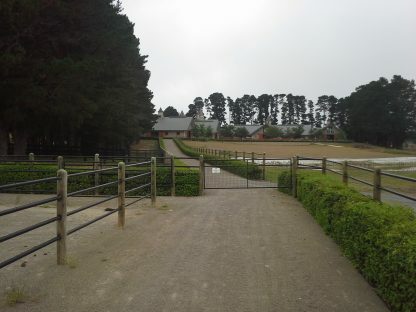 Galvanised Steel rail is the superior alternative for all equestrian needs such as a dressage arena or fencing. 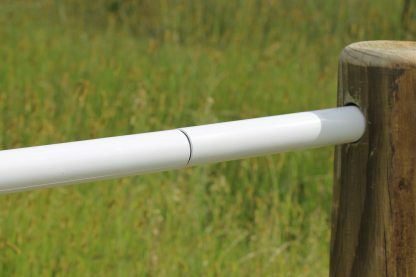 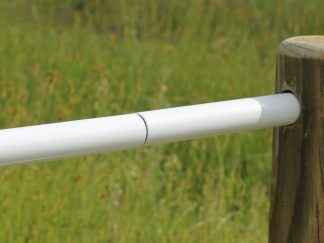 Choose from a variety of post and rail combinations. 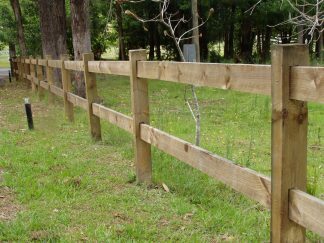 Round Steel Fence Rails provide greater security and are 48.5mm(50mm) or 60mm diameter. 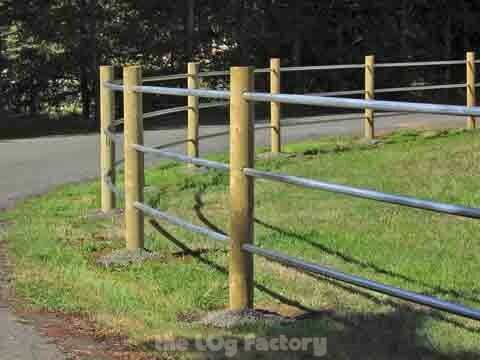 Order below on line with standard either 3 or 4 rails. 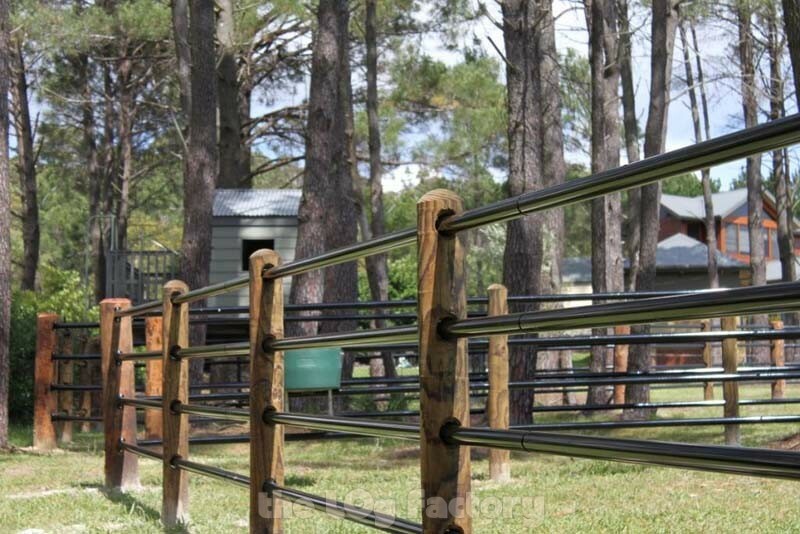 Contact us if you wish to use 1 top rail only and use wire below. 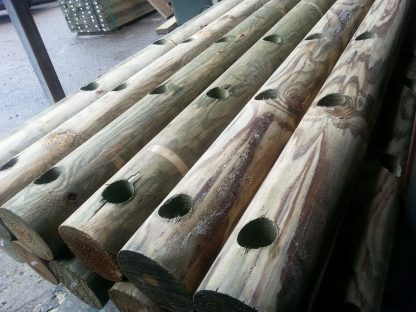 Standard posts have rounded (chamfered) tops and Posts are centre drilled. End posts are drilled to half the post depth. 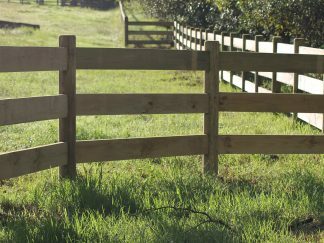 Contact us for optional 175mm and 200mm corner or gate posts .